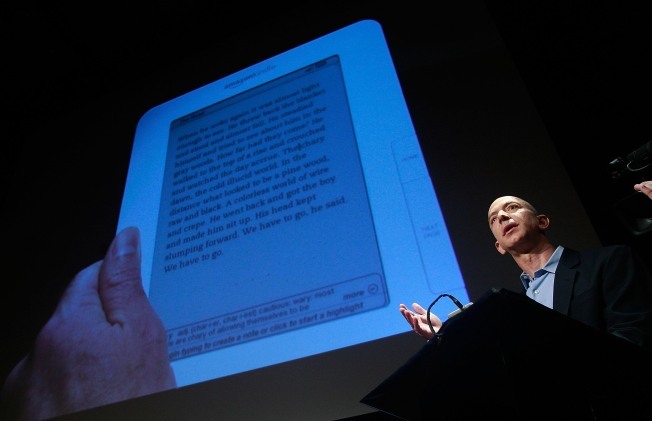 Jeff Bezos would just as soon have you buy virtual books, the better to avoid state sales taxes. Seattle-based Amazon.comis threatening to cancel contracts with California affiliate marketers if state legislators vote to tax transactions by local shoppers. Because Amazon.com does not have a physical presence in California, the company doesn't have to collect sales tax on purchases shipped to addresses in the state. But California legislators are looking to cash in on an estimated $150 million in revenue by extending sales taxes to online purchases like those made via Amazon.com. A similar bill which passed in New York is being challenged by Amazon, with the company calling the laws unconstitutional. Thousands of Californians, meanwhile, are "Amazon Affiliates," as the company offers a small percentage of any sales generated by clicks on advertising and links from third-party sites to its store. Many bloggers and other online publishers have found that such links are much more lucrative than other forms of online advertising, such as text or banner ads from companies like Google. If California calls Amazon's bluff, that revenue stream could dry up. Amazon has previously avoided most local sales taxes by locating warehouses in states without such taxes or setting up complex subsidiaries. Jackson West admits he'd like to see sales taxes replaced by more progressive property, income, capital gains and estate taxes.